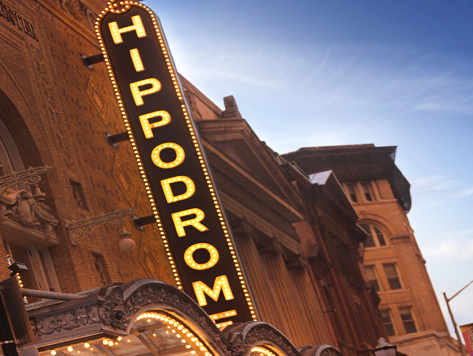 Enjoy a piece of Baltimore history while taking in a show at the Hippodrome Theatre at the France-Merrick Performing Arts Center. The legendary theater was the foremost vaudeville house in Baltimore during the early 1900s, and showcased some of the top vaudeville performances of the time. Today, the theater remains a world-class entertainment venue in downtown Baltimore, and is considered the crown jewel of the Bromo Tower Arts & Entertainment District. Concerts and events are shown at the venue throughout the year, and the theater continues to be a popular stop for touring Broadway and off-Broadway shows.